Posted on October 25, 2009, in misc. Bookmark the permalink. 23 Comments. OMG! It looks brilliant! That nail is gruesome! Wow, that is absolutely gruesome! Well done! I nearly jumped out of my skin when I saw that. LOL. What a great idea for kids biscuits. I wonder why there is so much salt in the pastry recipe? Looks good anyway. Have fun at the party! 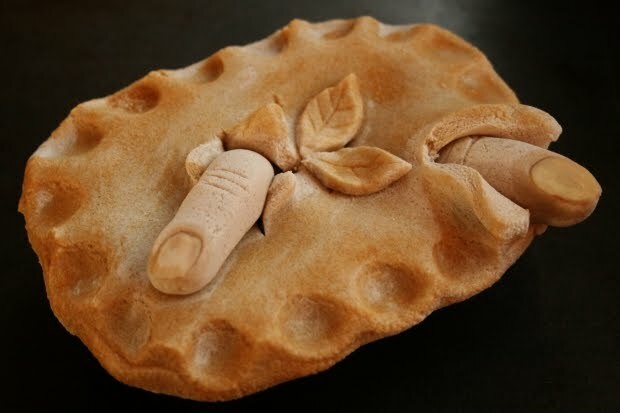 I am a vampire this year :)The pies look great, love the fingers coming out of them, lol! Ooh, I know it's fake but I've come over all unnecessary… It's so realistic! Hi, I just found your blog on Refrigerator Soup. I love your pie, it's so realistic at first glance it scared me:) But this is not only food, this is art! Absolutely beautiful. omg those nails looks gross! Fantastic Sweeny Todd pie! Ewwww! It's good to see you've been pulling your finger out. 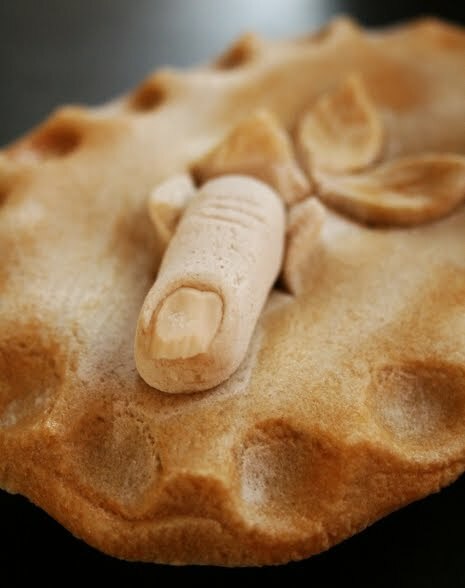 I saw your pie on Craftster & just had to check out your blog – I was hoping to see Sweeny & Mrs Lovett! Tomorrow perhaps….?! ;)Great, if gruesome, pies! Thanks for all your lovely comments. We had a fab party and I'll try and post some pics of the outfits once my brother has sent me the photos.Rhylesgranny – I'm not sure why there is so much salt. I don't know if it is this that helps it to dry out. Oh so fabulous! Wonderful – and very creepy – work!